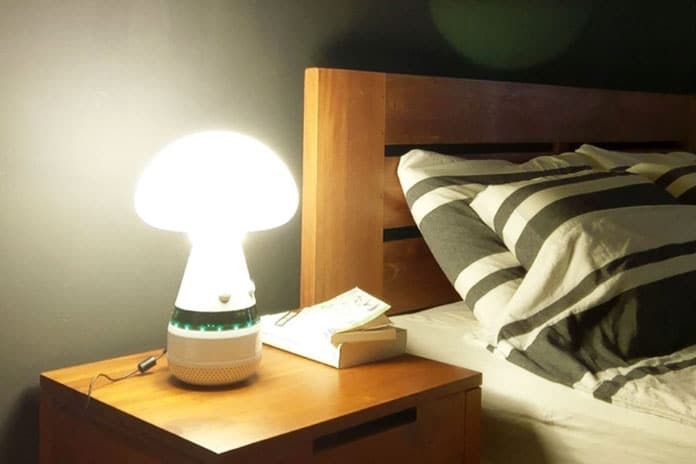 Well, this smart device looks like a lamp but its versatile functions will surprise you. This voice-controlled smart-home-care tool understands 34 languages. All in one tool, smart-home-care, can control all lights and electronic equipment of home. It is wireless and simple to install. 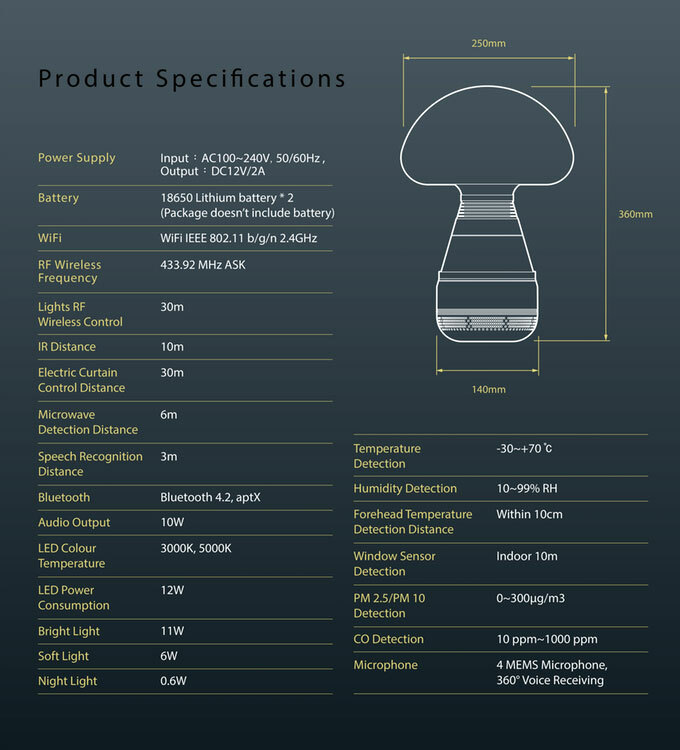 Its multi-function includes body temperature, PM2.5, humidity, 360 degrees IR/RF, etc. Air quality indicator and PM2.5 will help you to detect the quality of air and can trigger air freshener at the same time. It is actually not a voice control device but it still can control and monitor by mobile phone. Every one of us wishes to have a smarter house which can do everything automatically. It would be fascinating that this device will change the complete picture of your home. It understands your need and hence will switch on lights when you go home. Also, it supports Microwave and RF technical so light will be turned on and adjust suitable environment according to your need. Besides, it takes care of a family under surveillance. It features temperature detection so you can receive notification when someone’s temperature is higher than usual. Smart-home-care is also a lamp and supports different light modes so you can read books in white light and have dinner in warm light. Similarly, it devised a Bluetooth speaker so you can enjoy music in a comfortable environment. There are four units build-in Microphone so you can call “Hello-Torch” to control light, curtain, etc. Its exceptional feature is its efficient working even when the internet is interrupted.